When we came inside the tent, the Syrian family of eight welcomed us warmly and urged us to sit close to the small stove in the center for warmth. While the weather had improved from the previous weeks when a winter storm dropped several inches of snow and temperatures dropped below freezing, it was still very chilly. It looked like the children were wearing many of the clothes they owned, layer upon layer, though the smallest little girl still had bare feet. With our Lebanon team translating, we talked and learned how this family fled Syria under fire on their farm near Homs and had been living in this makeshift camp of about 100 families for close to a year. None of the children, from high school age down to four years old, had been able to go to school since they left home—but their father talked proudly about how they had excelled back in Syria, when all had a house to live in and a school to go to. Now, he said, he feared they would fall so far behind they could never catch up. And we learned later that several of the children were working as laborers to support the family, something the father was too ashamed to tell the strangers who came to visit. Child refugees from Syria now number over one million across the region, with an estimated 400,000 in Lebanon alone. For most of these children, their childhood has been put on hold and for many it will never be revisited. Many teenagers will most likely never go back to school. What will this mean for the future of Syria when families are finally able to return? My first trip to Lebanon since the crisis in Syria was a sobering one. It is a country of about four million people and is now home to close to one million refugees from Syria—25% of its population. That’s like if 75 million people suddenly arrived on our borders in Texas or California. We would certainly be reeling if such a thing happened and the Lebanese are struggling too. Given the infrastructure challenges of such a huge influx of people, it’s not a surprise that many children have not been able to get into school even two or three years after they left Syria. Luckily, small efforts are making a big difference for these children. 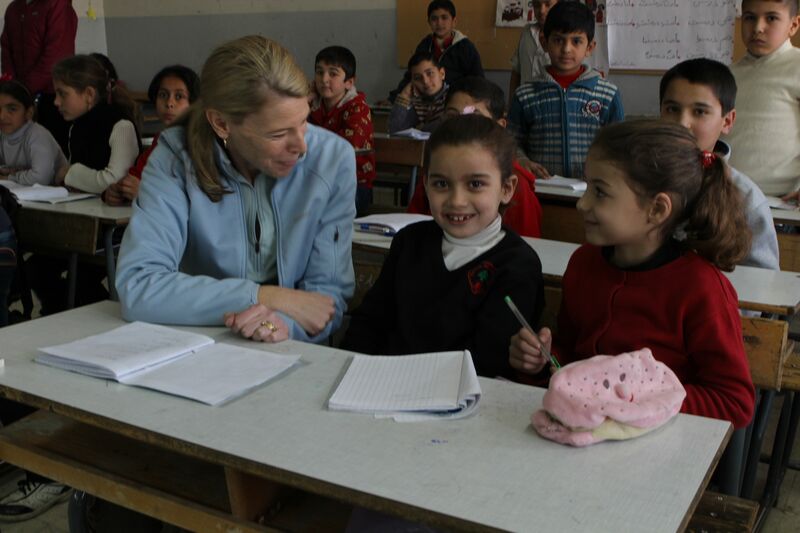 We visited a government school in Bekaa Valley that has agreed to run “second shift” programs for Syrian children. Here, with support from Save the Children, kids are able to come to school in the afternoons for about three hours, after the regular classes have left, and have basic instruction in math, reading and science in their native languages of Arabic and English. Some instruction in regular Lebanese classrooms is in French, a language very few Syrian children speak, making it tough for Syrian children to attend regular classes in Lebanon. Though “second shift” does not provide a full day of instruction, dedicated teachers are able to at least keep kids leaning and engaged. But probably the biggest benefit of this effort is what being back in the classroom means for these children emotionally. In stark contrast to the quiet, withdrawn children we met in tents in the makeshift camps, kids at the school were smiling, jumping up eagerly to answer the teacher’s questions, joking and playing with us and just so obviously happy to be in school, a place that seemed to finally make them feel like normal kids again. It’s heartbreaking to think that millions of kids inside and outside Syria aren’t benefiting from being in a classroom. Save the Children is working hard to make sure that more Syrian children have the chance to get back to school, get back to a (new) “normal” and get back to experiencing the childhood they need and deserve. The kindergarten inside the Za’atari camp in Jordan is a little island of happiness inside a place that is full of tragedy. Here, 3-5 year-old Syrian children living in the huge camp are able to come three times per week in the morning or afternoon to have fun, build social skills and start learning. The brightly colored space, the simple toys, the dedicated young teachers all serve as a respite from the tough, grinding life these children have been living for months or even years in the camp. On my recent visit to Za’atari, the kids got something else too. New winter boots, specially made and provided to Save the Children by TOMS Shoes, were distributed to 9,000 children. As you can see from this video, the reactions were truly wonderful to see. TOMS is pretty unique among our partners. Many have not supported our efforts for Syria due to fears of political issues within the conflict or lack of focus on the Middle East. But TOMS entire business model is built on the idea that for each pair of shoes purchased, a pair of appropriate shoes will be given to someone who needs them—the company has now given away more than 10 million pairs of shoes worldwide. You won’t find the rubber boots we gave out in Za’atari camp at any shoe store in the U.S.
What is it like when a sponsored child receives a letter from their sponsor? 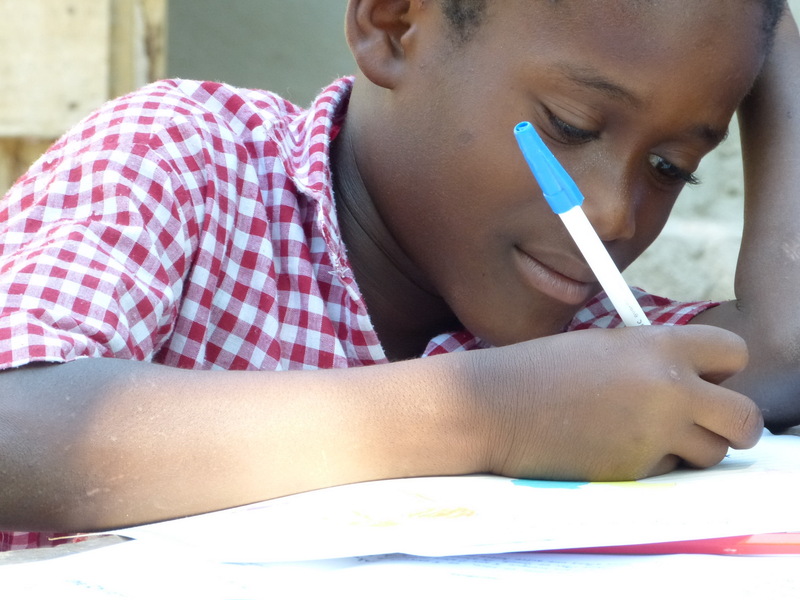 Many sponsors confess they feel nervous when writing for the first time to their sponsored child. 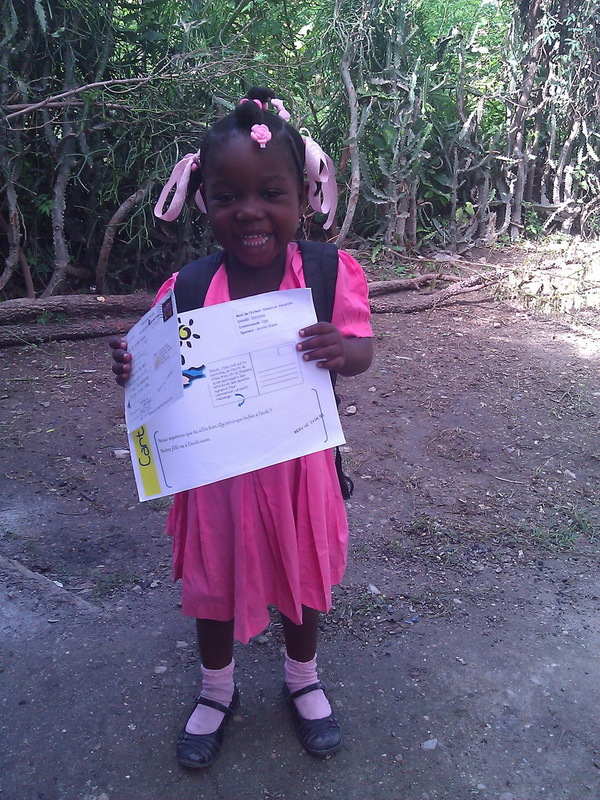 However, letters and pictures from sponsors have a special impact on children. Teachers report children spend weeks discussing what their sponsors write. At home, some children choose a secret place to save the letters and pictures so little brothers or sisters will not destroy them. These pieces of paper become a treasure. Here are some reactions we’ve collected from the field. As we look forward to your letters, we would like to remind you that you are building a relationship. Be simple and remember, you are writing to a child who sees you as a friend. On behalf of the children in our programs, we thank you from the bottom of our hearts! Food tells a lot about the culture of a people and place. In Meherpur, one scene is common from the beginning of winter until the end of spring – women busy preparing a traditional item called Kumro Bori. 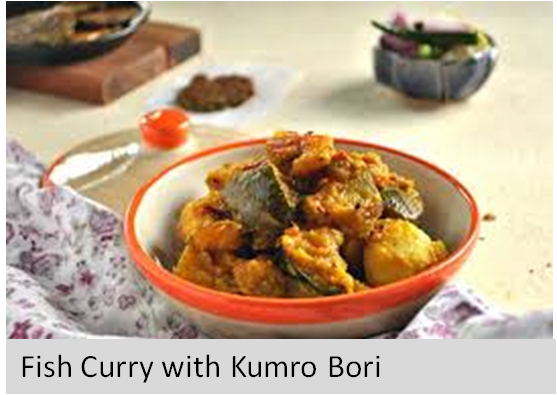 Using various kinds of fish, potato and other common vegetables, they prepare delicious curry, which is served with plain rice. To prepare the Bori necessary ingredients are pulse/grain legumes (Mash Kolai dal), white pumpkin (Chaal Kumro), water, salt etc. The housewives are competitive about preparing Kumro Bori. They prepare as much as they can keep in stock for use throughout the year. Bori-making is a laborious process. 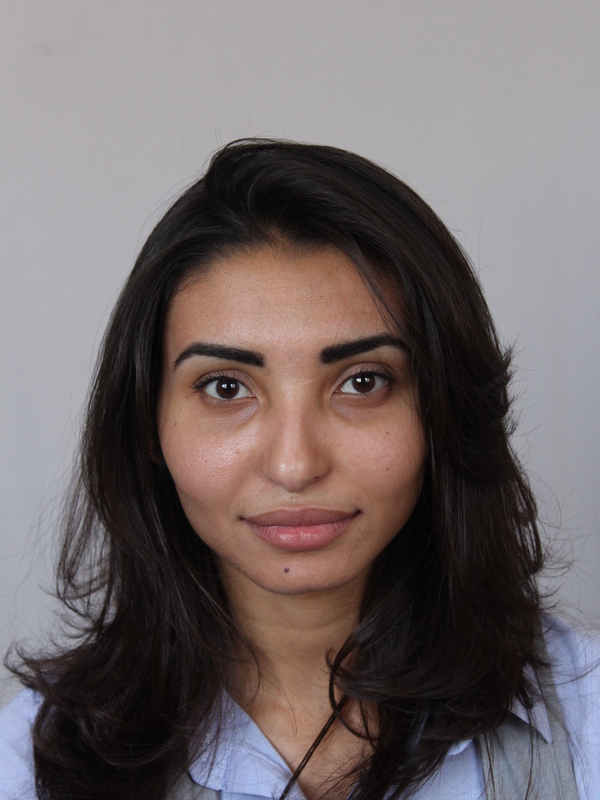 Pulses are soaked in water the night before so their skin comes off easily. The soaked pulses are pestled to dough and mixed with grated, smashed white pumpkin, water and salt proportionately to achieve the sticky texture required. After completing this process, boris are prepared and dried on clean, rough cloth or bamboo sheets in the sun. It takes three to four days to make those usable. Heat the mustard oil in a deep pan and fry the fish pieces. Put aside. In the same oil, add the legumes, fry until golden and remove from the oil. Next add the vegetables (potato and eggplant cut into pieces lengthwise) and fry along with the spices until reddish in color. Add a few tablespoons of hot water, cover and cook until the vegetables soften. Then remove cover and add the fish pieces, green chilies and the legumes. Add enough hot water to the pan to make a sauce and boil as needed. Serve over plain steamed rice. 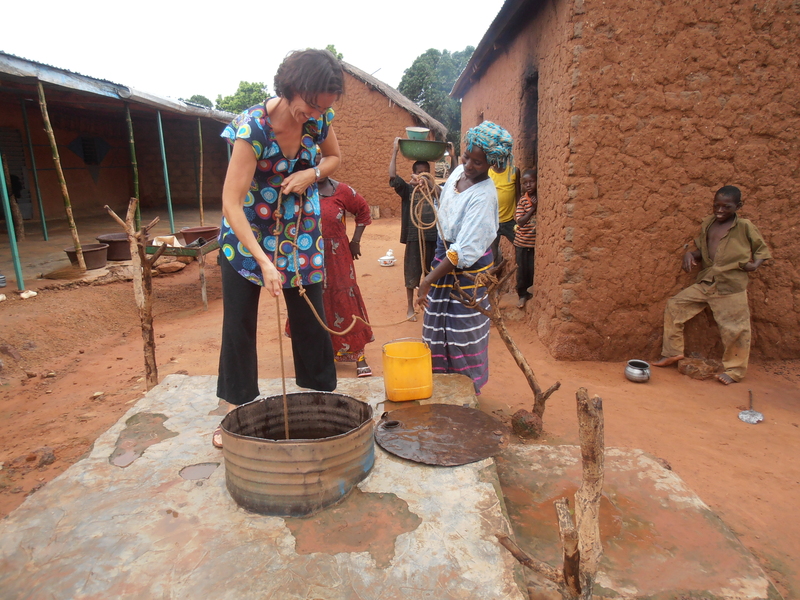 I joined Save the Children as a sponsorship assistant 6 months ago and am enjoying working in the field I love most! 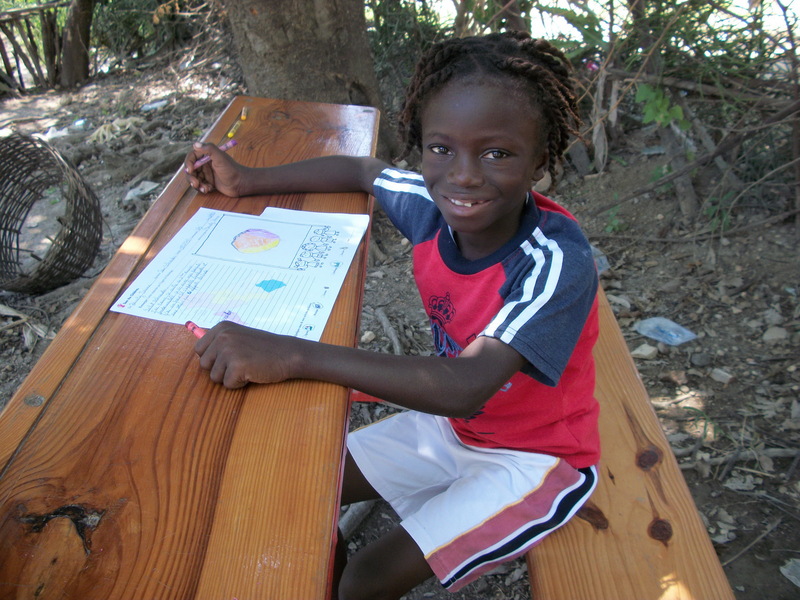 I usually go to the impact area of Abnoub every day to follow up on the correspondence between sponsors and children. On the way to Abnoub, I pass by the famous basil farms and smell the amazing aroma of the basil, which farmers spread out on the sides of the road to be sun dried. During one of my visits to Abnoub, one of the girls in the sponsorship program said she wanted to tell me a secret. I bent down and listened, and she asked me to do her a favor. She needed my help to make up with her friend who she had annoyed and wanted to tell she was sorry. It is so touching to see children having pure feelings for each other. I have found that correspondence strengthens the relations between sponsors and children, providing knowledge and motivating children to learn. 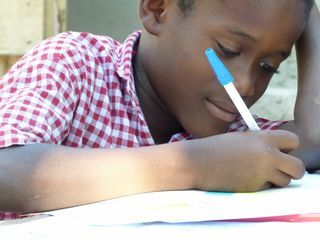 I asked this girl, “What is the special thing you want to write to your sponsor?” Her reply was amazing. 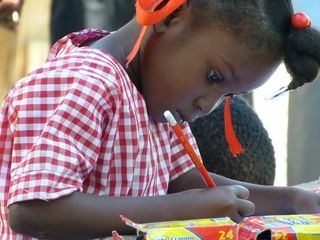 She said, “I will learn English and will write the letters myself in her language.” This is how correspondence encourages children to learn and develop their skills. After having a long talk with this child, I learned that children are like basil. You smell their wonderful aroma when you are on your way to support them. The child friendly space is so designed not only as a safe space for children to play and get support, but as a “one stop centre” for children and their families, parents and caregivers addressing a host of protection issues. People were coming into some communities and offering work for those less than 18 years of age in towns and communities outside of those affected by the typhoon. Although this might seem like a good option for some families that had completely lost their livelihoods, we used the child friendly space as a resource centre to raise awareness about risky migration, and the perils of child labour and exploitation that many children and adolescents unwittingly fall prey to. Additionally, as it was difficult for everyone to access the child friendly spaces immediately, another important initiative was to train as many community volunteers in protecting children and psychosocial first aid as possible. This would allow children from their respective villages to receive support as we sort out the logistics of getting the child friendly spaces to them. Tacloban City itself was already known as an area with existing issues of child sexual exploitation. We were concerned in these early weeks that the impact of Typhoon Yolanda might exacerbate this situation and one of my first contacts in those early days was with the Women and Children’s Protection Desk of the Filipino National Police, who were female officers with special skills and training in addressing sexual and gender-based exploitation and abuse. A few reports had surfaced that underage girls were being offered as prostitutes, and anti-trafficking and prevention messaging on sexual and gender based violence were issues discussed with much urgency in the protection and gender based violence (GBV) clusters. To combat this problem, UNHCR and local partners had established surveillance systems at the airport and seaports of Tacloban and Ormoc. For our own part, we highlighted the necessity of establishing safe spaces for adolescent girls and women as part of our community-based approach to protection and that communities needed to be particularly vigilant in monitoring and reporting any potential situation of trafficking or other forms of violence against girls. An additional element to the strategy was to effectively engage men and boys in prevention of sexual and gender-based violence against women and girls. Although there were immediate concerns that needed to be met, we were already beginning to think long term. From a protection perspective, this meant being more than service provider but strengthening the overall systems in the Philippines. Early on in the response, I participated in some very basic capacity building sessions with Department of Social Welfare personnel from over 30 municipalities and linking them to affected communities. This also meant that as an organisation we did not fall prey to the “tarmac effect” or programming only in communities that were close to main urban areas. 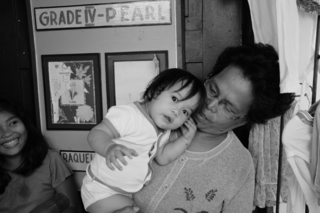 Towards the end of my time in Leyte, I travelled to Ormoc where we had a small team present. 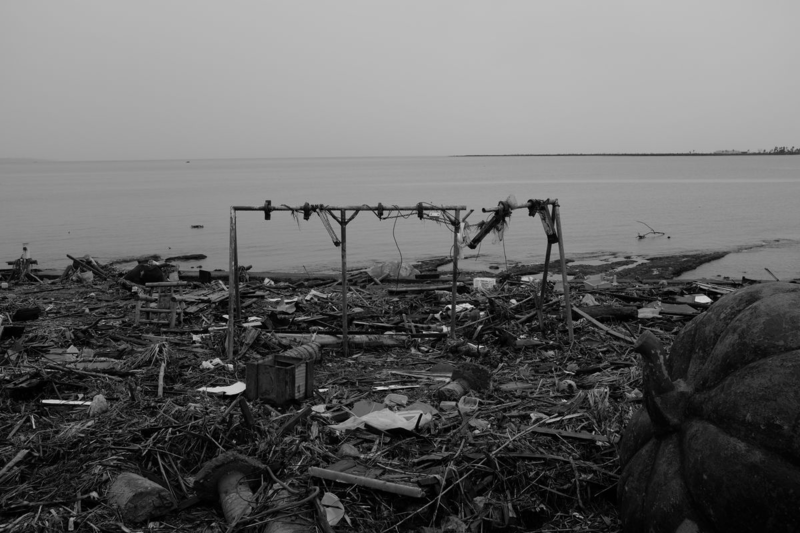 While the damage was not as bad, we discovered that some areas were perhaps even more impoverished and incredibly vulnerable. In some areas, out of school rates among adolescents was already high and many were working in seasonal agriculture. With much of the agricultural livelihood destroyed, adolescents were vulnerable to undertaking risky migration in search of work—the social tolerance and acceptance of this was palatable in the region. So, too, many young mothers migrate to Manila or Cebu in search of work—primarily as domestic help—leaving their children behind which can set up a situation of inappropriate care. These were also issues of concern in eastern Leyte, and cognizant of this—and the fact that there is a small window of opportunity to address this—it was of paramount importance that awareness and other prevention work begin immediately. This child protection work cannot stand alone. A child who feels protected is one that is well both emotionally and physically. This means access to psychosocial first aid, education, food, water and shelter. As such, I wanted to ensure that in communities with child friendly spaces, schools would still be prioritised, and conversely that school curriculums provided psychosocial first aid and spread protection messages. Child friendly spaces should also have safe drinking water and toilet facilities, and children attending our sessions should not come in hungry. All in all, it was an exhausting experience, both mentally and physically. But at the end of the day, we met our target of reaching over 100,000 beneficiaries in those early weeks, providing them with basic protection, temporary shelter, food and non-food items such as household and hygiene, education, water, sanitation, food security and livelihood rebuilding. 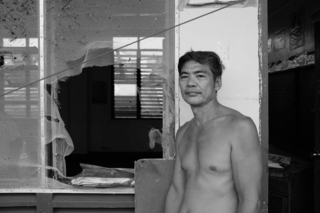 I think there were many of us with our own moving stories of blood, sweat and tears, but as I left Leyte—surely a number of kilos lighter and having not stopped working for 30 days—I reminded myself of this resiliency and those poignant moments of at least being a part of helping to restore a bit of dignity and well-being to the lives of children. 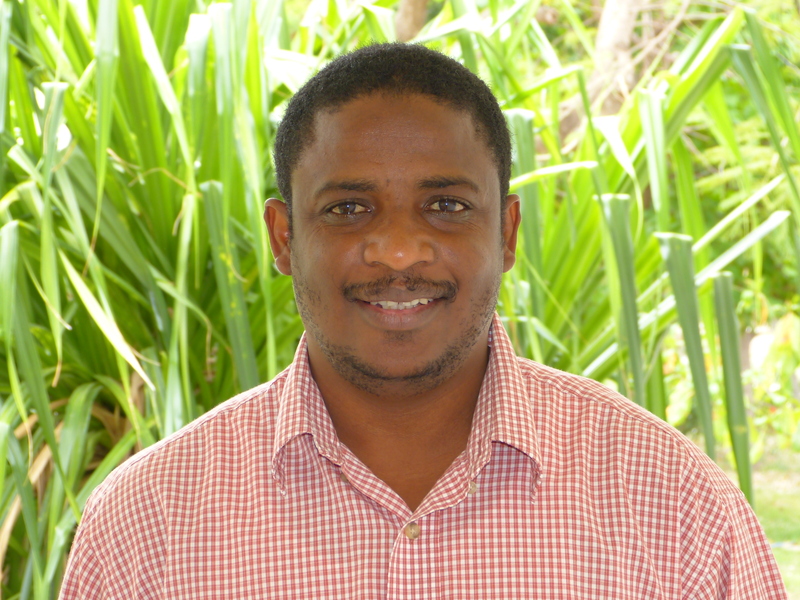 Psychosocial support initiatives for children was needed in so many communities that it became rather difficult to make decisions on where to establish programmes. To ensure that all the communities in need were reached, we coordinated with other actors such as aid agencies, local and national government departments. 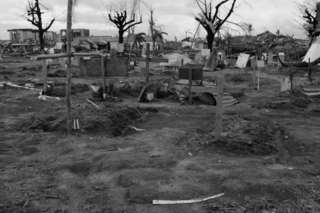 In Tacloban City, many displaced children were staying in evacuation centres—mostly schools and other larger centres that had all been damaged to some extent, yet offered a roof, or partial one, under which to sleep. 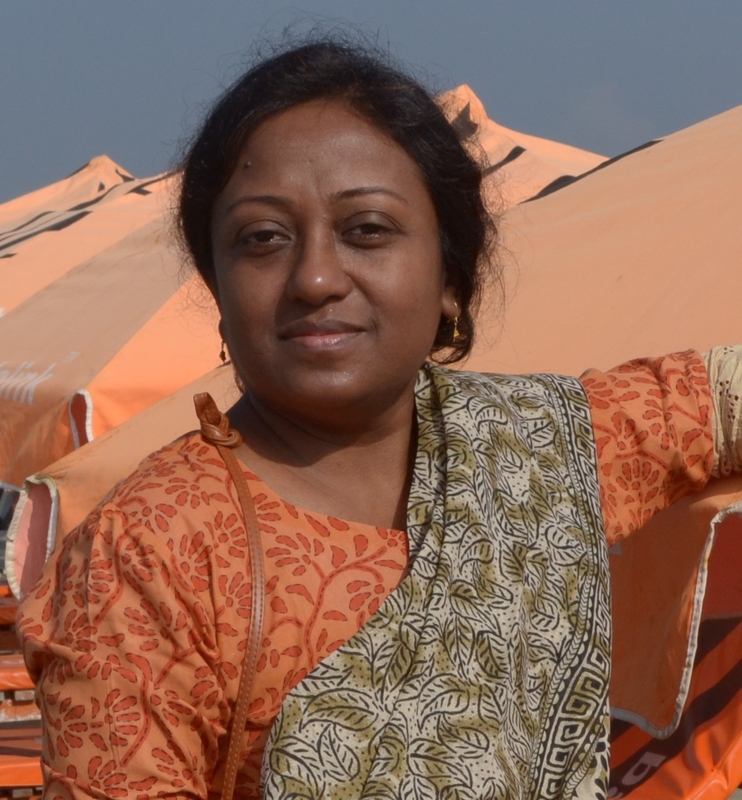 Work in the evacuation centres was being coordinated through the City Social Welfare Department and there were plans to utilize day care centre workers with the tasks of operating child friendly spaces. But many of the day care centre workers were, of course, themselves affected and were also putting the pieces of their lives back together. We began with some simple measures to set up child friendly spaces in evacuation centres with the support of teachers and other community volunteers. Panaloran School in Tacloban was one such evacuation centre. On the morning of Typhoon Yolanda, it housed up to 70 children and numerous families. The school yard looked like a battle zone, yet the main building itself had withstood a large brunt of the storm. The same families that had sheltered there in preparation for the storm were still residing in the few classrooms. I met many heroes during my time in Leyte—their selfless actions saved the lives of countless children—but I particularly remember the poignant stories from a man named Oscar in Panaloran School. Oscar and the others at the school were in a ground level classroom on the morning of the storm. They anticipated the high winds but few had any inkling of the storm surge that would accompany it. As it became apparent that the water was going to rise above their heads, they moved to the second floor of the building despite greater risk of debris flying through the air. But the strength of the water currents made it impossible for them to open the classroom door. Oscar broke open one of the windows and each person scrambled out through it; children were carried through the window to waiting adults on the other side. Oscar was the last one out. The children at the school were the saddest I had witnessed in my first few days. We quickly mobilized the adults at the school; provided them with protective gear and provided cash for work for the clean-up of the school. This was the most amazing community—by the time I had returned in the afternoon, the school had been cleared almost entirely of dangerous debris; a small classroom that was ankle deep in mud and other debris had been cleared and was being prepared for a child friendly space and temporary learning space. Most gratifyingly, the children wore smiles on their faces and looked happy; this only in anticipation that a small space for them was being established and they would have a place to be with their friends and could engage in some fun activities. In other words, a chance to take their mind off of the horror that surrounded them. It was Oscar’s wife, a teacher herself, who led most of the activities for children in those early days. This was a woman who was badly affected herself, but gave her time to the children instead of salvaging her belongings and rebuilding her home. The children always came first. As activities went on, I saw even more smiles on the faces of children the next day as they played with their friends and held cuddly soft toys. The scene at Panaloran School was one repeated over and over again in villages, communities and towns. Two main issues weighed heavily on my mind as the plane landed in Tacloban five days after Typhoon Haiyan ripped through Eastern Visayas. Firstly, it was the prospect of unaccompanied and separated children. With dead bodies lining the streets, we assumed that we would be documenting many cases of children unaccompanied or who have lost their parents in the storm. The other was the physical safety and psychosocial well-being of children in the aftermath of such a large scale disaster that left so many displaced and impacted. Death and the loss of shelter affected almost everyone. While fortunately there were few cases of children separated from their families – and for this I acknowledge the strong Filipino family structure and disaster preparedness, the physical hazards for children and adults were everywhere. Planks of wood with rusty nails; shredded sheets of corrugated tin roofing, downed electrical wires; and smashed windows and glass were littered everywhere. In villages, fallen coconut trees created obstacle courses of movement and even the air in many places was thick with smoke as people burned piles of debris. With schools obviously not being opened—and badly damaged if not completely obliterated—and adults so preoccupied with salvaging what they could, rebuilding their homes or temporary shelters and trying to restore their livelihoods, children in the thousands were left with little in the way of structure and routine and in many cases roamed aimlessly around their community. 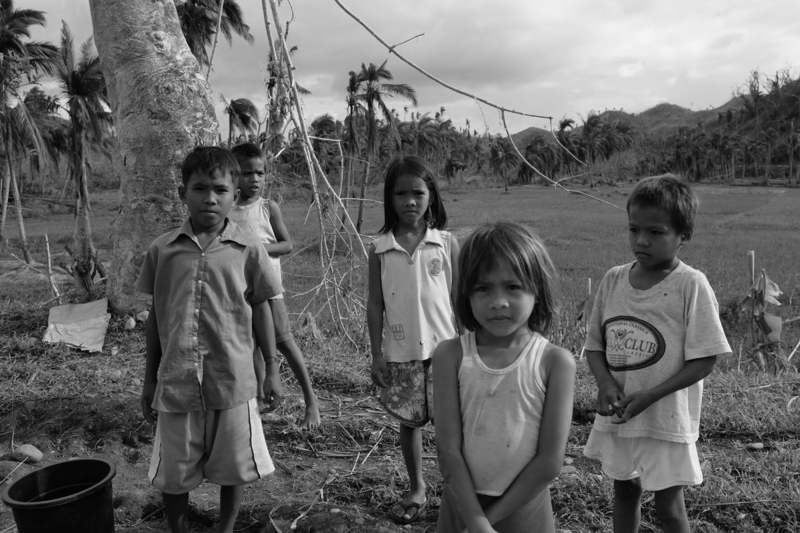 Along the highway south of Tacloban city, hundreds of children begged for food and money. This posed an extremely dangerous situation for children, who scrambled for coins or food that was tossed out of passing car windows, and I used my time in the field doing assessments to hold brief awareness raising sessions with barangay and municipality authorities, groups of parents and even with children themselves on the risks of physical harm as well as the dangers of trafficking and other forms of exploitation. Along with other aid agencies and government departments, discussions on common awareness messages on protection were developed and disseminated. Assessing the situation of children’s psychosocial well being was a major task in the initial phases of the Haiyan response efforts. Overwhelmingly, children seemed to be making sense and coming to terms with the disaster. Many children expressed fears associated with high winds and water and other aspects that brought back memories of when the typhoon struck. However, most children seemed to be in a state perhaps best described as “numbness” or “shock” but with few signs of extensive change in behaviours. 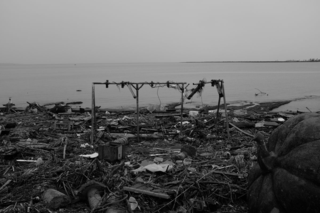 It was a very different picture, however, as you moved into communities that were more extensively damaged and where the death toll, even among children, was higher. In communities where so many died there was hardly space to bury the dead and large mass graves were established. 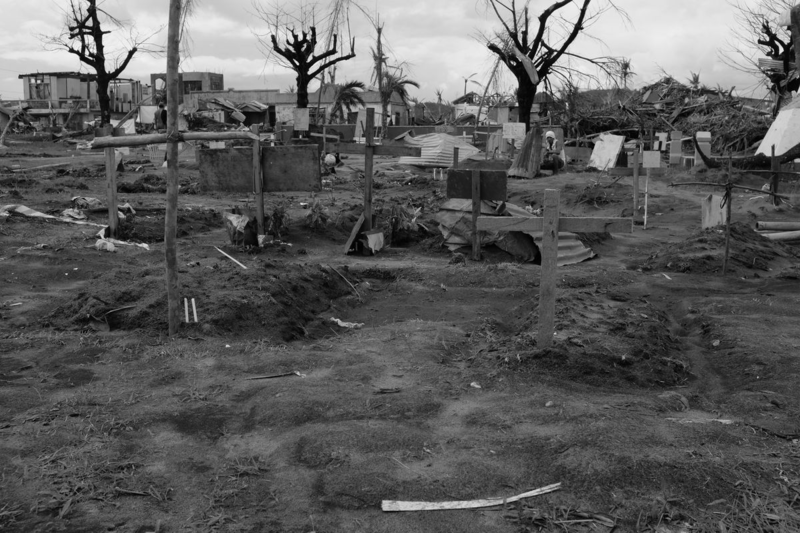 In one community, hundreds were buried in front of the Catholic Church, which had become the temporary office space for the barangay captain. Save the Children established a Child Friendly Space—a safe space for children to gather, play, have time for social interaction with their friends, engage in non-formal learning activities and to receive psychosocial support—in this and many other communities like it.